Tech giant reveals merger of its Enterprise Services business with CSC, creating a $US26 billion solutions provider. Hewlett Packard Enterprise has announced a merger of its Enterprise Services business with multinational solutions and services provider CSC, creating a $US26 billion solutions provider and the third largest in the global market. Billed as a “pure-play, global IT services powerhouse”, the tech giant claims the spin-off and merger is the “logical next step” in the turnaround of HPE's Enterprise Services segment, allowing the standalone business to “sharpen its leadership” in building end-to-end infrastructure solutions across enterprise. Set to be completed by March 31, 2017, the merger - valued at around $US8.5 billion - brings together over 5,000 customers across 70 countries, with a combined $US26 billion in annual revenue. 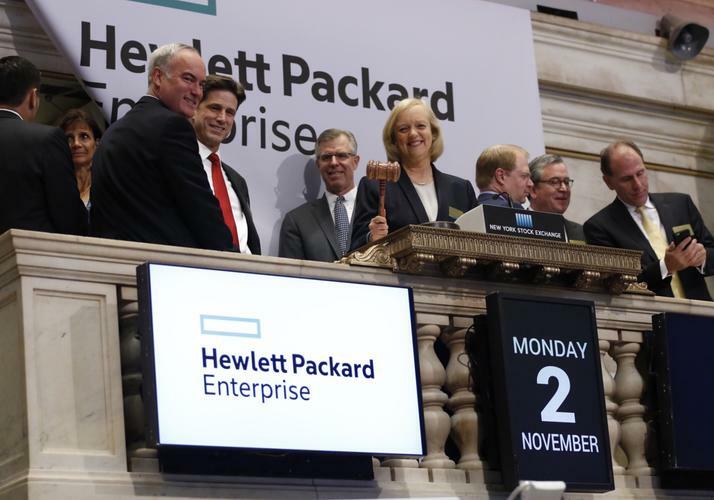 "The 'spin-merger' of HPE's Enterprise Services unit with CSC is the right next step for HPE and our customers," Hewlett Packard Enterprise CEO, Meg Whitman, said. "Enterprise Services' customers will benefit from a stronger, more versatile services business, better able to innovate and adapt to an ever-changing technology landscape." Terms of the deal will see Mike Lawrie, the current head of CSC, become chairman, president and CEO of the new company, with Whitman set to join the Board of Directors. Whitman said the new company's board will be split 50/50 between directors nominated by HPE and CSC, with CSC's current CFO, Paul Saleh, continuing in that role in the new company after the transaction closes. Additionally, Whitman said Mike Nefkens, the current EVP and GM of HPE's Enterprise Services business, will be a "key part" of the new company's executive team and partner closely with Lawrie on building the new organisation. Consequently, the transaction is expected to deliver approximately $US8.5 billion to HPE's shareholders on an after-tax basis, including an equity stake in the newly combined company valued at more than $US4.5 billion, which represents approximately 50 percent ownership, a cash dividend of $US1.5 billion, and the assumption of $US2.5 billion of debt and other liabilities. The merger of the two businesses is expected to produce first-year cost synergies of approximately $US1 billion post-close, with a run rate of $US1.5 billion by the end of year one. "As a more powerful, versatile and independent global technology services business, this new company will be well positioned to help clients succeed on their digital transformation journeys," CSC CEO, Mike Lawrie, added. "Together, CSC and HPE's Enterprise Services will have the scale, foundation and next-generation technologies to innovate, compete and grow in a rapidly changing marketplace. "We are excited by the great potential this merger brings to our people, clients, partners and investors, and by the opportunity to strengthen our relationship with Hewlett Packard Enterprise." Whitman said the consolidation of CSC and HPE's Enterprise Services segment will create a new company with “substantial scale”, with both parties combining offerings in next-generation Cloud, mobility, application development and business process services, as well as big data and analytics, workplace, IT services, and security. Spanning sectors that include financial services, transportation, consumer products, healthcare, and insurance, Whitman said HPE will continue to leverage its portfolio of operations, security, and big data software assets that deliver machine learning and deep analytics capabilities to customers. “As two standalone companies with global scale, strong balance sheets and focused innovation pipelines, both HPE and the new company that combines CSC and HPE's Enterprise Services segment will be well positioned as leaders in their respective markets,” Whitman added. “For HPE, our balance sheet, capital allocation strategy, and cost structure will now be fully optimised for a faster growing, higher margin and more robust free cash flow business. "And, the new company will be in a stronger position to win than either organisation could have been on its own." Whitman said both the new company and HPE will be "well-capitalised", and builds on the progress HPE has made to turn around the Enterprise Services business and improve its operating model and financial profile, following a trouble few years. As explained by Whitman, in FY13, just three customers made up approximately 65 per cent of HPE's Enterprise Services operating profit but today, no single customer accounts for more than 10 percent. "We have significantly improved HPE's Enterprise Services cost structure by exiting high-cost datacentres, improving low-cost location mix and rebalancing our workforce," Whitman added. Financially speaking, Enterprise Services delivered stable revenue for the first two quarters of fiscal 2016, which were the first quarters of year-over-year constant currency revenue growth since fiscal 2012. In the second quarter of fiscal 2016, Enterprise Services reported its eighth consecutive quarter of year-over-year operating margin expansion. "Overall, HPE's Enterprise Services is on track to achieve its long-term goal of a market competitive cost structure and operating margins," Whitman claimed.